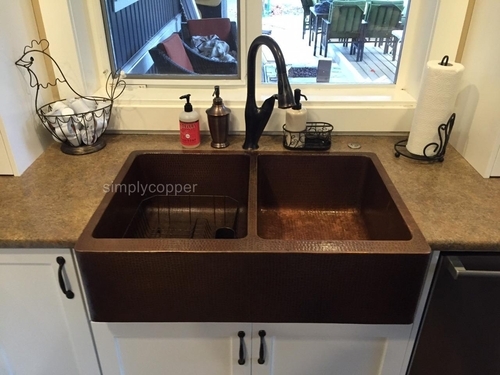 SimplyCopper wants you to Design with the Sink in Mind. 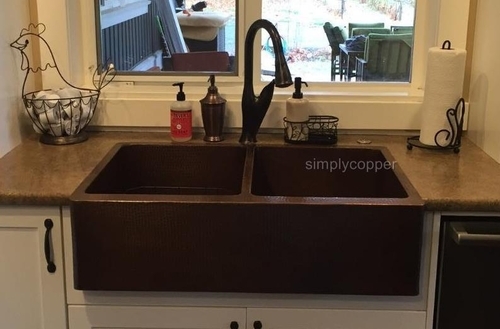 ThisRustic Farmhouse kitchen sink is hand forged from 14-gauge copper, and 14-gaugecopper for the apron. 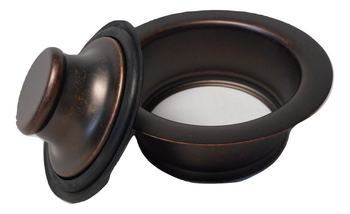 This sink is hand-hammered and fired to achieve a gorgeous patina. Photo by: Kristin H.
SimplyCopper wants you to Design with the Sink in Mind. 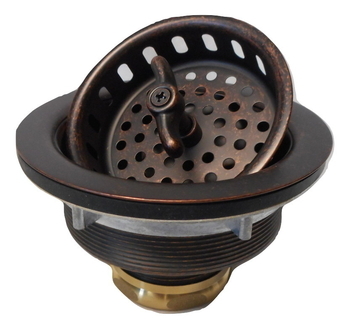 This Rustic Farmhouse kitchen sink is hand forged from 14-gauge copper, and 14-gauge copper for the apron. This sink is hand-hammered and fired to achieve a gorgeous patina. Tig Welded at the seams (pure copper welds) Insures an invisible seam. Lead Time for Delivery is Approximately 2-3 Weeks.